3,907±SF Historic Home built in 1908 with 5 Bedrooms and 3 Baths on .71+ Acres near downtown Abbeville Contact Rickey Heaton at 864-350-0323 for details. Selling for the Adelaide L. Dupre Estate! Approx. 18 Units Selling Regardless of Price!! Approximately 18 Units, which have been abandoned, will be sold individually for cash. Household contents, furniture, tools, etc. 1,325+/- SF House with 3 Bedrooms and 1 Bath. Contact Rickey Heaton at 864-350-0323 for details. Approx. 6 Units Selling Regardless of Price!! Approximately 6 Units will be sold individually for cash to satisfy liens or have been abandon. Household contents, furniture, tools, etc. Buses, Vehicles, Lawn Care Equipment, Restaurant Equip., Food Service Items, Shop Equipment, Musical Instruments & Misc. 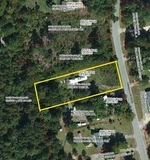 .82+/- Acre Lot in White Pines Subdivision. Contact Rickey Heaton at 864-350-0323 for details. .58+/- Acre Lot in the Saddlebrook Subdivision. Contact Rickey Heaton at 864-350-0323 for details. 1.04+/- Acre Lot in Wexford Mill with views of Lake Carol. Contact Rickey Heaton at 864-350-0323 for details. 9,900+/- SF former Motel with 35 Rooms on 2.52+ Acres in the Town of Bamberg. Contact Rickey Heaton at 864-350-0323 for details. Join today to receive information about upcoming auctions.